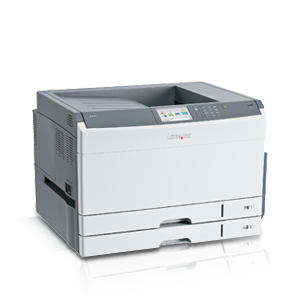 The Lexmark M3150 network-ready laser printer includes a 4.3-inch color touch-screen operator panel, internal 2-sided printing, 512MB of standard memory, 650-sheet input and a front USB Direct Interface. 17.0 x 18.8 x 19.3 in. 12.1 x 15.7 x 15.6 in.